We are a multidisciplinary team of world-class scientists, engineers, clinicians, and entrepreneurs. Nina bridges the realms of business and science, with 10 years of experience in tissue engineering and more than eight in bioreactor design. She completed two advanced degrees at Columbia University: a Ph.D. and postdoc in stem cells and tissue engineering and an Executive MBA in healthcare entrepreneurship. Named one of the 100 most creative people in business by Fast Company, she is also a TED Senior Fellow and MIT & McKinsey alum. Nina enjoys yoga, rock climbing, surfing, and growing a strong business while growing strong bone. Her TED Talk on personalized medicine has been viewed more than a million times. Born and raised in Thailand, Sarindr (a.k.a. Ik) moved to the U.S. to pursue science. His Ph.D. and postdoc at Columbia University focused on engineering bone, cartilage, and osteochondral tissues from stem cells. Now he works to translate that innovation toward clinical use here at EpiBone. Sarindr holds two patents and has authored four book chapters and more than 15 journal articles related to bone and cartilage tissue engineering. He enjoys rock climbing, snowboarding, & soccer. A leading expert in tissue engineering, Dr. Vunjak-Novakovic focuses on engineering human tissues for regenerative medicine, stem cells, and disease modeling. She holds more than 70 patents and is a frequent advisor to government & industry. 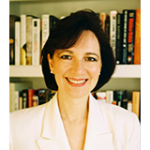 Dr. Vunjak-Novakovic is the Director of the Laboratory for Stem Cells & Tissue Engineering at Columbia University, and a member of the National Academy of Engineering, the Institute of Medicine of the National Academies, and the National Academy of Inventors. As a practicing oral and maxillofacial surgeon, Sidney takes great interest in the development and introduction of new clinical modalities that can help many patients requiring craniofacial reconstruction. He is chief of the dental service at NewYork-Presbyterian Hospital, and serves as George Guttmann Professor of Clinical Craniofacial Surgery and Director of Oral and Maxillofacial Surgery. Sidney has overseen and/or performed all EpiBone’s large-animal preclinical implantations to date. Elma brings the vast experience of a 30-year career encompassing pioneering efforts in biotechnology and drug development, and executive roles in corporate development, strategy, fundraising, and general management. Most recently she served as president and CEO of Lion Biotechnologies. Previously Elma has mentored women-led companies at Springboard Enterprises. 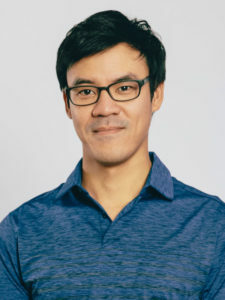 A serial entrepreneur who specializes in the startup, acquisition, and development of small and mid-sized companies, Cliff focuses on businesses with unique ideas or technologies that need guidance during their initial growth phases. 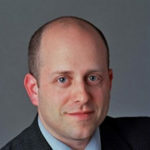 He is the Director and Entrepreneur in Residence at Columbia Business School. 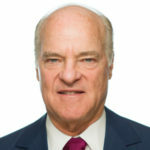 Henry Kravis co-founded KKR in 1976 and is Co-Chairman and Co-Chief Executive Officer. Mr. Kravis currently serves on the Boards of First Data Corporation and ICONIQ Capital, LLC. 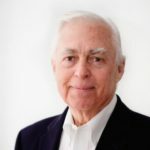 He also serves as a Director, chairman emeritus and trustee of several cultural, professional, and educational institutions, including Columbia Business School, and the Partnership Fund for New York City. Mr. Kravis has more than four decades of experience financing, analyzing, and investing in public and private companies, as well as serving on the boards of a number of KKR portfolio companies. 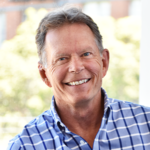 Hank currently serves as a Director of BioStar Ventures, a US based medical device venture capital fund. He also serves as a Board Director for several medical technology companies in both the public and private sectors. 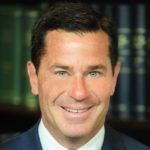 Prior to joining BioStar, Mr. Kucheman served as Chief Executive Officer of Boston Scientific. 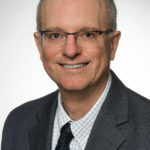 Brian Cole is an orthopedic sports medicine surgeon at Midwest Orthopaedics at Rush, and a Professor of Orthopaedics, Anatomy and Cell Biology at Rush University Medical Center. He is the head team physician for the Chicago Bulls, and co-team physician for the Chicago White Sox. 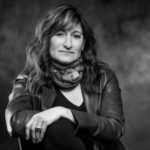 Cheryl Blanchard is President and CEO of Keratin Biosciences, Inc.. She also serves on a number of public, private equity and venture backed company boards including Anika Therapeutics and Ceramtec. Prior to that, she was the SVP, CSO and GM of Biologics at Zimmer Biomet, and is currently a member of the National Academy of Engineering. Neal Masia is an economist and healthcare industry expert. He is an Adjunct Professor of Business and Economics at Columbia University, and serves as a consultant and advisor to several healthcare companies and investment firms. Prior to his current roles, Neal spent nearly 18 years at Pfizer Inc., most recently as Chief Economist and Vice President of Patient and Health Impact. Our investors are more than funders. They are thought partners—essential team members who actively participate in shaping our success. Visual artist based in Brooklyn, NY. Eliza’s artistic practice ranges from drawing to performance, all with an interest in facilitating introspection and discovery for the viewer. 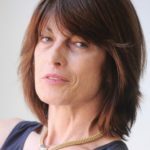 She has exhibited and performed both nationally and internationally, including Von Lintel Gallery and Tiger Strikes Asteroid in New York, The Wand in Berlin, Germany and the 1961 in Siem Reap, Cambodia. 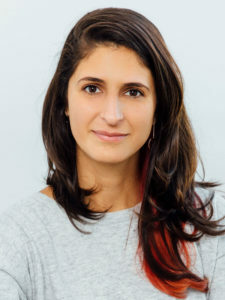 Interdisciplinary artist workingat the intersection of art, science & technology, Nurit is the co-founder and Arts & Culture Program Director of Genspace NYC, a citizen-science community biotech lab in Brooklyn. 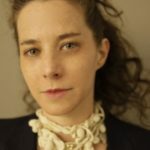 She conducts experiments through creative collaborative inquiries and addresses the ethics and the emerging practices of DIY biology, microbial signaling and collective collaborations, communication systems and social networks in nature, soft-genetic manipulation and biomaterial fabrication. 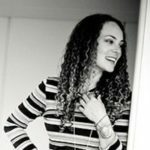 As the first Artist-in-Residence at EpiBone, Maia worked on creating 3D printed sculptural jewelry designs inspired by CT scan cross-sections of bones. 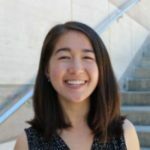 Her designs address the paradigm shift from subtractive manufacturing to additive manufacturing, reflecting a similar shift in the field of tissue engineering from carve to grow. Studying Biology & Design at the University of Pennsylvania. Interested in biomimetic design, biofabrication, combining art, science, biology and design to achieve innovative results.